Declining Quality Care or A Healthier America... Obamacare Good or Bad for America? YOU DECIDE. With the GOP fully in control of both the House and Senate, it’s only a matter of time before the Obamacare debate starts again. Opponents say Obamacare will increase the federal deficit, ruin small business and greatly diminish the quality of the American healthcare system. Proponents say Obamacare is working and opponents only need to look at the numbers—total enrollment is reaching its goal of 9.1 million people signed up for private coverage under the president’s health care law. 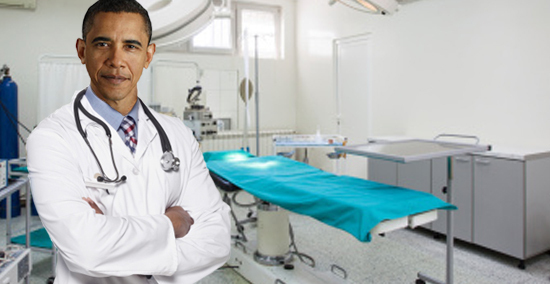 1) Do you believe the quality of American healthcare has declined under Obamacare? Yes, there are not enough resources to handle the increase in insured patients. No, when more Americans have access to medical care the U.S. will be a healthier nation overall. 2) Do you believe it is government’s role to mandate health insurance coverage for its citizens? No, it should be a personal decision left up to every individual. Yes, government should protect the wellbeing of its citizens. Yes, Americans will have to suffer more taxation to "pay" for others healthcare. No, insurance premiums paid by the individual insured will pay for the program.